« previous: « S.E.C. Marketing Conference November... » next: » What Results Are You Hoping For? Fall has arrived, and 2017 is coming to a close. We have been working on our goals for the rest of this year and for 2018 regarding the courses we hope to present. In the next issue of the Observer, I will update you on those courses as soon as they are confirmed. The Ed Foundation hosted a working luncheon at the Indianapolis meeting so the attendees could receive training on our new Meeting Administration software. I encourage everyone who attended to please follow up and use the site, as what you learned will quickly abate. Those skills are perishable and need to be nurtured with regular use, even if you are just going in and experimenting. Many thanks to Gary Vandenberg, Peter West, and Corey Bishop for an excellent demonstration of the software capabilities. This has been a productive year for the S.E.C. Education Foundation. We held our first annual Ed Foundation dinner and auction in Indianapolis, and it was very successful. Our fundraising allows us to give grants to worthy causes and to provide scholarships to help young people further their education. The Society of Exchange Counselors has scheduled the following education program for our meeting in Savannah, Georgia, and I hope you can join us on November 12, 2017, from 9:00 a.m. to 4:00 p.m. for Creative Real Estate Solutions, a formulas course, which will be presented by Ken Vidar, CCIM. Ken’s course is an excellent way to increase your ability to use formulas to create more transactions. The educational classes for the upcoming S.E.C. meetings are posted on the S.E.C. Observer Upcoming Events web page as we confirm them. We are working to schedule education courses in regions where we will host S.E.C. meetings next year. Our goal is to have an education session locally several months prior to our meetings to expand our presence and identify local people who may be potential guests. We look forward to expanding our reach to new marketing groups, professional organizations, and individuals who are interested in bringing the best creative real estate education to their regions. Please visit our website, www.secedfoundation.com, to learn more about the courses and programs we sponsor. Paul M. Winger, S.E.C. acts as a principal and a broker, and is based in Wichita, Kansas. 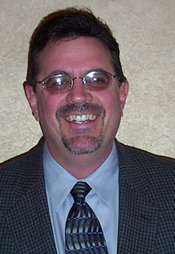 Paul has been active in real estate acquisition and rehab projects since 1999. Paul serves on the S.E.C. Board of Governors, and was the S.E.C. Membership Chairperson for 2012. Paul served on the Executive Committee of the Society as the President for 2016, and he served as the 2017 President of the S.E.C. Education Foundation. » Articles by Paul M. Winger, S.E.C.